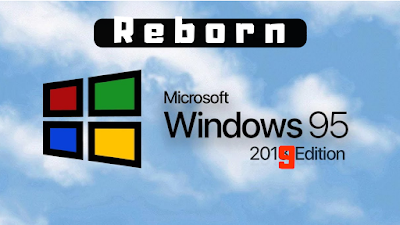 Windows 95 is Back Now in 2019 - For Mac and Windows - Windows 95 Reborn V 2.0. Last year a Software developer had released a new raw version of the Windows 95, which used to operate the old Pentium computers. The developer Felix Rieseberg has now released the new 2.0 version to that of the previous one . (the previous one could just handle some of the basic apps). But now the version 2.0 which is developed using the frame work Electron is more accurate, fast time saving Operating system which also have the sound and other drivers options. All the games to that 90's Era are also available in this version 2.0 of Windows 95. Wolfenstein 3D and the A10 tank killer games are also available out there which was loved by those times generation. The Windows 95 Back version 2.0 also offers the 500 MBs of a space for applications. The interesting this is that it can run on both Mac and Windows System of today's age. Well for the people who's childhood belongs to 90's will enjoy their memories in this fast moving world. The version 2.0 is available in a size of about 300-450 MB.